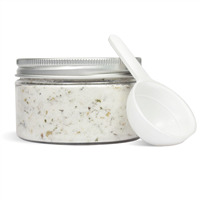 This foot scrub packs a big punch with a medley of awesome ingredients. 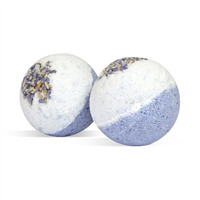 Sugar and blue jojoba beads buff feet when using this product while sweet almond oil, grape seed oil, apricot kernel oil, cocoa butter and shea butter add moisturizing and softening properties. Top that off with menthol crystals to provide a cooling tingling sensation. Customers will love it! You Save $14.76 by purchasing this kit rather than buying the items separately. COMMENTS: The the scrub looked and smelled great. I did find that the sugar was not coarse enough to really exfoliate. COMMENTS: I love this. It is so easy to make and it is a wonderful, unique product. It smells great. I did not add any fragrance as the menthol is so nice. As always, I would like to be able to purchase this kit but removing the items that I already have. Anxious to see how this sells at next show. COMMENTS: Wonderful product! I gave out samples and people came back to buy. 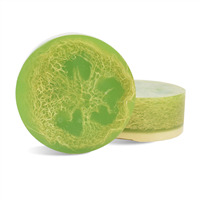 I love the menthol in it and it is not greasy--something we're always searching for in oil-based scrubs. The product looks great, too. I added a tad of EOs to it to ramp up the scent, but it's great on its own. It looks good in the blue jars but also try it in clear so that customers can see the product. A keeper! COMMENTS: This was So simple to make...and fun! My friends and customers seem to love it and so do I. Thank you, WSP for creating another awesome kit. COMMENTS: This was so easy to make....and the product came out perfect. "Wow! Yay! but keep it "Cool"..."
COMMENTS: This is an amazing product and I so love it!! I have tons of headaches and in living in Florida with the weather and sinus issues; it can be tough. I use this and the sinus tabs - wow they are wonderful and this product leaves your feet feeling great and your hands too. My husband loved the color of the jar and the blue beads are beautiful. He took some to show a business associate and left it in the car; in Florida not a good idea. It sweated and leaked. I also found that when I had the jar beside my "hot" computer that it started to sweat too. No worries, but I think adding a little note that it likes it "cool" would be a good idea and I will let my clients know. But I totally love this product. "Would this scrub be stable in the summer heat in say Arizona? I need something that won't melt for an outside fair.Also,Thanks to the staff at WSP for always being right on top of questions we ask! You've been so helpful and it makes it easier for me to know how to use your products. I love you guys!" Staff Answer The melt point for the foaming bath whip is around 120°F. Your product will soften and possibly melt in an outdoor fair. You might keep one sample out on your table and have the rest in a cooler if someone purchases a jar. And, thank you for your kind words. We are always here to help with any questions or concerns you may have. 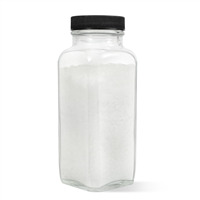 "Can pumice powder be used in this scrub instead of the sugar or can I do half and half- half sugar and half powder? Thanks so much!" Staff Answer Pumice powder can be used in the recipe as a half or full replacement to the sugar but it may change the look and feel of your final product. We suggest testing a small batch first with your changed recipe. "What do you recomend for selling price?" Staff Answer Hi Robin - There are quite a few things that go into determining the price such as the price for the raw materials, labor, overhead, and the market. We suggest a retail price of $8.50 for this product, but the price you charge may be lower or higher depending on your overhead and market. For more information on determining pricing, Click Here. "Bought the kit: The scrub won't get thick and fluffy. I have followed the directions exactly, measured everything out." You can put it in a bowl and use a kitchen mixer on high to add some air and firm it up. I mixed it on high with my hand mixer for about 10 - 15 min. I finally gave up and packaged it. It is thick, just not the fluff I expected. When I whip my other lotion, it comes out like marshmallow cream and that takes about 5-8 minutes. I have all the same ingredients, I'll try again. Found the problem: I was impatient! When it says to 'Cool completely' you mean EXACTLY that. The oil, butter & wax mixture must be at the solid/semi-solid state before adding to the sugar! MUCH better consistency! "How is this product used? Do you apply in the shower or bath?" Staff Answer If your applying this as a foot scrub, you may want to apply in the bath or while doing a pedicure using the foot bath.
" If there is no water in this recipe why does it need a preservative?" 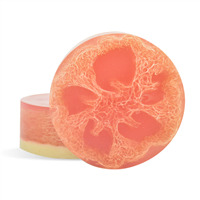 Staff Answer Due to the fact that this is a scrub that is meant to be used in the shower where water may be introduced to the product we chose to include a preservative to prevent the growth of bacteria. "Since this scrub likes it cold, would it be a good idea to store it in the fridge? It seems like it'd be even more refreshing that way. but I am not sure if it's cause separation or anything else. Thanks! " Staff Answer You can store this in the fridge if you want. It should not cause any separation, however, it may cause the scrub to get harder making it difficult to scoop out of the jar. You will have to test this to be sure. "Is it OK to melt the butters and oils in a glass container on short bursts in the microwave? The instructions recommend a stainless steel pot on the stove. I've melted most of the ingredients in the microwave for other recipes, but I want to ensure that this recipe will be OK too. Thanks! " Staff Answer Yes, you can melt the butters in the microwave for this recipe. Just be sure to use 30second intervals to insure you do not overheat them. "What is the average shelf life of this product if made with the exact ingredients that are provided in the kit?" Staff Answer The shelf life of our products is one year from date of purchase. "Does it have a fragrance when made? I don't see where you would add it? Thank you." 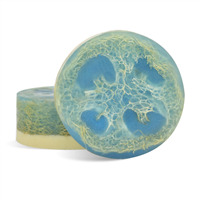 The menthol crystals are made from steam distilled peppermint oil and add the scent to the product. If you wanted to add an additional scent you probably could. Chocolate might be nice with the mint. 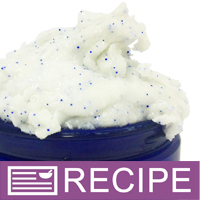 "Can I substitute soft and silky emulsifying wax for the traditional emulsifying wax? I accidentally bought the wrong kind. " 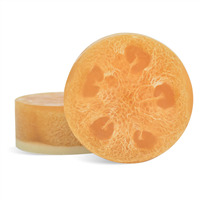 Staff Answer Hello Katy, I see no reason you can't substitute the Soft & Silky E-wax for the Traditional E-wax. This may cause a the texture of the scrub to be softer than the original recipe. It may also be a bit more moisturizing than the original recipe but overall it will maintain the same attributes. Thank you for your question.